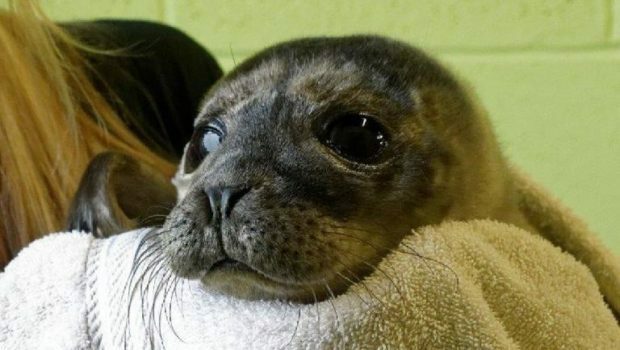 A young seal pup which was rescued from the shore at Tayvallich in Mid Argyll is in the care of the Scottish SPCA. The animal welfare charity was alerted to the seal after a concerned member of the public spotted him while out on a walk. The pup, called Alex by the charity’s wildlife team, is being looked after at the National Wildlife Rescue Centre in Alloa. Inspector Yvonne Inglis said: “Every year we care for more than 100 seal pups rescued from all over Scotland. “Seal rescues this far north can be particularly difficult as so many factors come in to play, including securing transport. Centre manager Colin Seddon added: “Alex is currently doing well and is being fed on a diet of liquidised fish which is being fed by syringe and tube.